Saturday morning marked a special day for the Minford Falcons cross country team, as well as other teams from across the area. The Minford Invitational featured 12 teams from four different conferences across the state, including River Valley from Caledonia in Marion County. The Vikings of River Valley were impressive overall, winning first place overall in the junior high girls and high school boys competition. Waverly also had success, as the Tigers finished first in the junior high boys and high school girls competition. 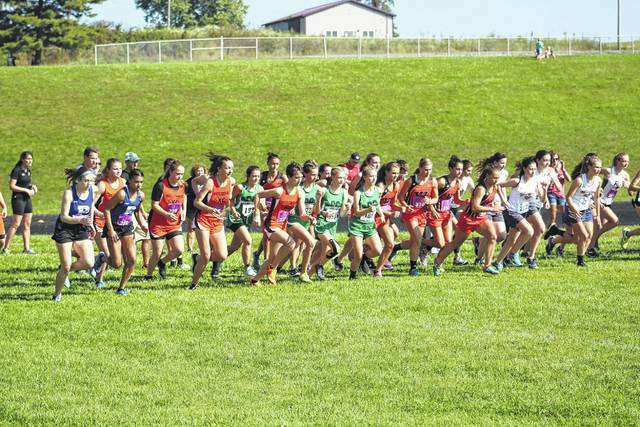 The meet finished as a positive for several schools and coaches, including Minford head coach Ann Marie Allen, who felt the Minford Invitational provided a glimpse at what cross country has become for local teams. 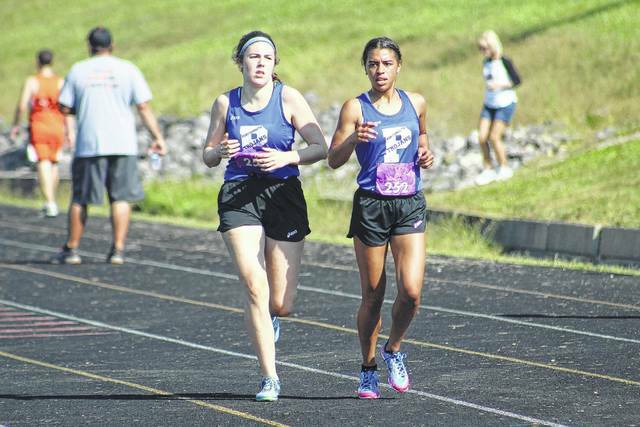 Harris was one of several local athletes who excelled in the races in what was a hot, humid day. Harris placed second overall in the high school boys race with a time of 17:23. Portsmouth junior runner Aiden Kammler, who finished third overall in the high school boys race at 17:35, agreed with Harris’ assessment. In the girls race, River Valley senior Kenzie Baker finished in first place with a time of 21:17. Several athletes from Scioto County schools placed in the top ten as well. Portsmouth had two runners achieve the feat, with senior Lynsey Shipley finishing fifth with a time of 23:34 and senior Anne Marie Raies finishing sixth with a time of 23:45. South Webster also had two runners in the mix, as senior Kayleigh Blevins finished seventh with a finish of 23:57, and senior Grace Raison who finished tenth at 25:07. Wheelersburg senior Lyndlee Willis finished eighth with a time of 24:31. Waverly was most impressive, though, as the Tigers had three runners place inside the top ten. Senior Hannah Goodman placed second with a time of 22:28, senior Leta Heigley finished third at 23:05, and sophomore Sarah Crabtree finished ninth with a time of 24:48. Several cross country teams are set to participate in the annual Shawnee State Bear Run on Sept. 27. Minford will travel to Alexander High School on Oct. 4 for their next meet.